Henmilite: Mineral information, data and localities. Named for Professor Kitinosuke Henmi and his daughter Dr. Chiyoko Henmi,Department of Earth Science, Okayama University, in recognition of their work on skarn minerals from Fuka. 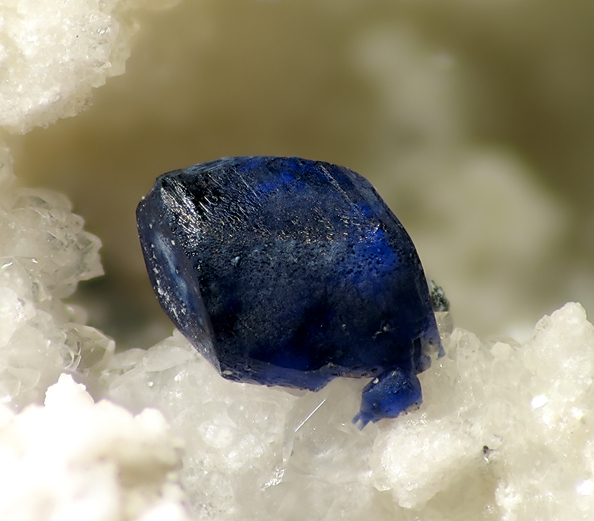 This page provides mineralogical data about Henmilite. Olshanskyite 18 photos of Henmilite associated with Olshanskyite on mindat.org. Calcite 11 photos of Henmilite associated with Calcite on mindat.org. Pentahydroborite 3 photos of Henmilite associated with Pentahydroborite on mindat.org. Shimazakiite 3 photos of Henmilite associated with Shimazakiite on mindat.org. Quartz 1 photo of Henmilite associated with Quartz on mindat.org. Buryatite 1 photo of Henmilite associated with Buryatite on mindat.org. Charlesite 1 photo of Henmilite associated with Charlesite on mindat.org. 6.AC.50 Carboborite Ca2Mg[B(OH)4]2(CO3)2 · 4H2O Mon. 6.AC.60 Lüneburgite Mg3[B2(OH)6](PO4)2 · 6H2O Tric. 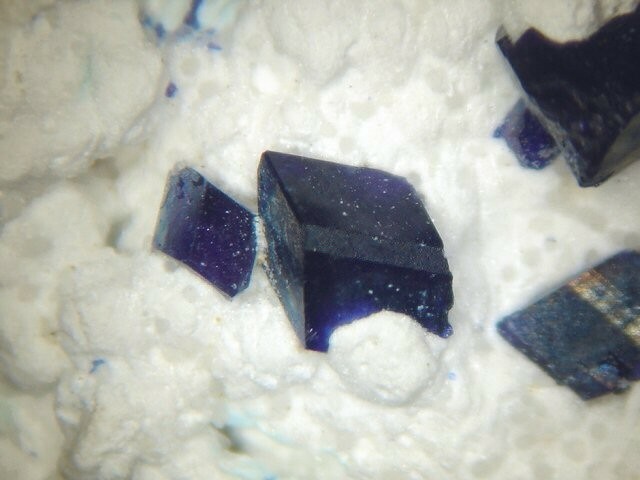 Nakai, I., Okada, H., Masutomi, K., Koyama, E. and Nagashima, K. (1986) Henmilite, Ca2Cu(OH)4[B(OH)4]2, a new mineral from Fuka, Okayama Prefecture, Japan. American Mineralogist, 71, 1234-1239. The following Henmilite specimens are currently listed for sale on minfind.com. 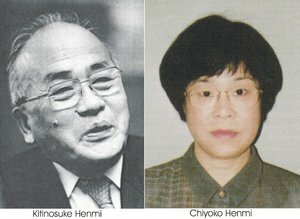 American Mineralogist (1986): 71: 1234-1239; Mineralogical Record (1996): 27: 303.; KUSACHI, I., & HENMI, C. (1991). Sillenite from Fuka, Okayama prefecture, Japan. 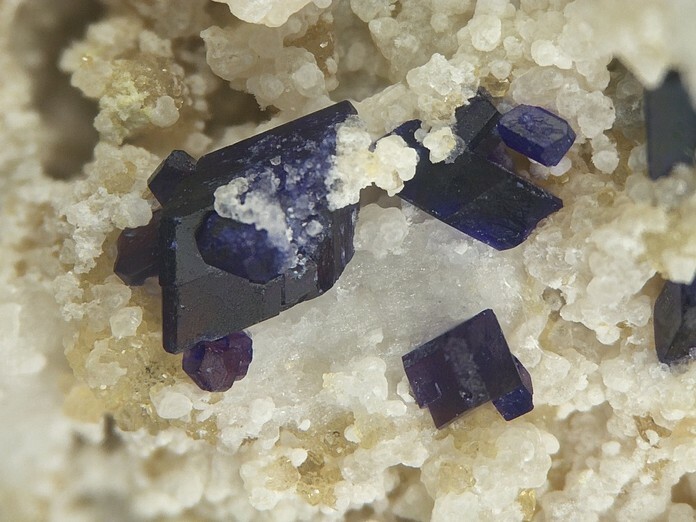 Mineralogical Journal, 15(8), 343-348.